Christmas is full of songs that conjure up memories of another time and place. I grew up singing Go Tell It On the Mountain every Christmas Eve at St. Michael Lutheran Church in Greenville, South Carolina. 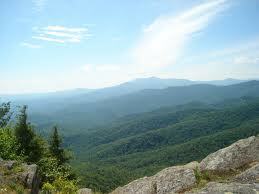 And since we were close to the mountains, the Blue Ridge Mountains, to be exact, it meant something specific to me. I could picture the ridges with lookout towers at the end of the trail. I had sat perched on expansive, flat rocks that were scenic overlooks, having lunch with family or laughing with friends from summer camp. I remember driving in the mountains of North Carolina – long, rolling hills covered in hardwoods bright with the colors of fall or evergreens sturdy and showy in the crisp air. The curves of the highway were sharp and led us up to the ridges and down into the “hollers” (valleys, to those who need the translation) that made the mountains feel that they were wrapped around me like a warm blanket. Those mountains echoed with the sounds of folk singers with guitars and old folks playing banjos and hammered dulcimers. The history of people making a way, making a living, making a home in the midst of those mountains whispered to me in the craft shops and in the homes proudly displaying quilts handed down through the generations. Go Tell It On the Mountain was a song that spoke to me of the joy of the season and the faith we all shared as Southerners. Telling the news “that Jesus Christ is born” on the mountain was metaphorical, because everyone on the mountain already knew. I couldn’t imagine anything different. 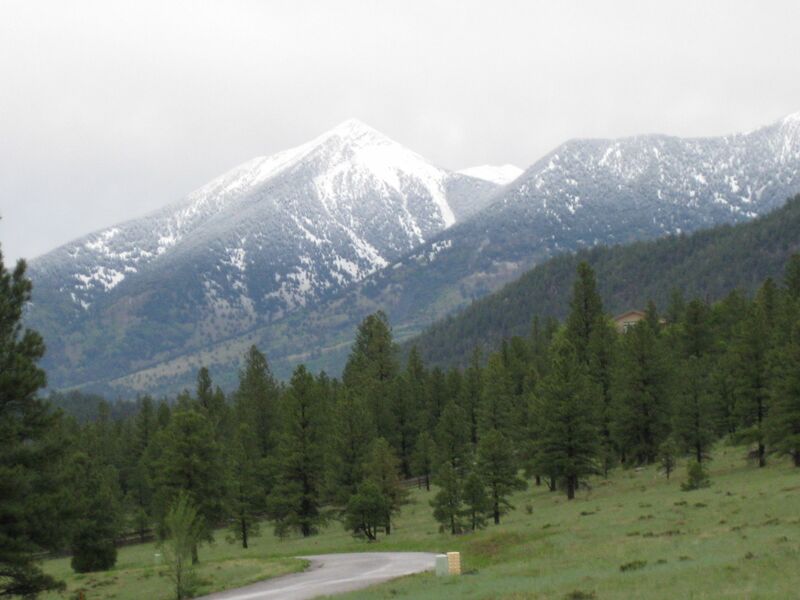 Now I live near much different mountains, the San Francisco Peaks in northern Arizona. They rise up out of the high desert like giants, standing watch over the land with power and majesty. These mountains are boastful, almost daring anyone to try and conquer them. There’s a sense of wildness and adventure to them, and a spaciousness I’m not used to. The wideness of the land rings true even as the road or the trail guides me higher in elevation. The vegetation thins out and the trees get sparse and I feel exposed, vulnerable. On a clear day, I can see for miles, and the possibilities unfold before me. These mountains don’t have expectations of me – tradition seems to be a concept not yet invented here. And so Go Tell It On the Mountain has a whole new meaning for me as I prepare for Christmas. Advent is calling me to openness and possibility and vulnerability. My Advent discipline is about looking beyond the expected and keeping my eyes on the horizon for what God is doing next. It’s about remembering traditions but also creating new pathways for Christ to come into my life. Go Tell It On the Mountain reminds me that here, on this mountain, not everyone is from the same culture or the same religion. And that some people are desperately searching for that joy, that hope that comes in the birth of a baby in Bethlehem. I’m much more comfortable in that world where everyone is like me. But I’ve been called here, to this mountain, where I’m challenged to open my heart and open my mouth to tell the good news. So I’m preparing this year, traditions in one hand, possibilities in the other, and trusting that the God who empowered the shepherds to pass on the news will show me the way, too.